Gunner, a beautiful chocolate Labrador visited today for his Sweet Valentine's Day portrait session. We have one or two remaining spots this week. Call if you want in. 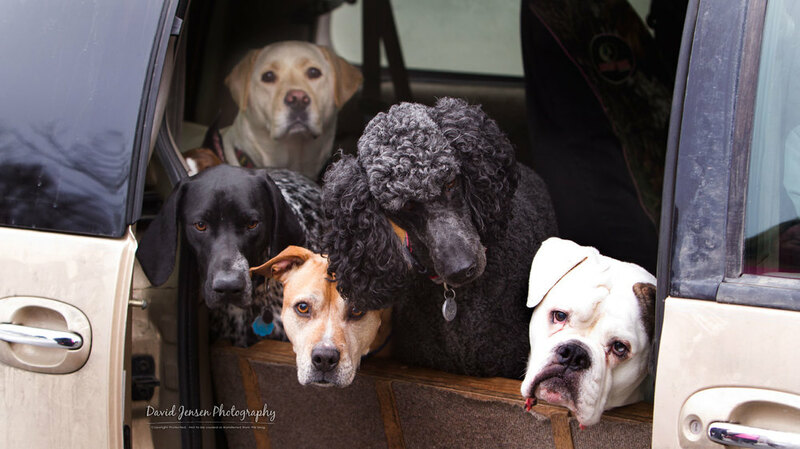 While loading Gunner back into his van, this pack seemed to be begging for their moments in front of the camera. We have the best jobs in the world over here. Stay tuned for Gunner's portrait later today.